Powerful SSIS Source & Destination Components that allows you to easily connect SQL Server with live NetSuite data through SSIS Workflows. Use the NetSuite Data Flow Components to synchronize with Leads, Contacts, Opportunities, Accounts, etc. Perfect for data synchronization, local back-ups, workflow automation, and more! Powerful SSIS Source & Destination Components that allow you to easily connect SQL Server with PowerShell scripts and commands through SSIS Workflows. Use the PowerShell Data Flow Components to synchronize with dynamic PowerShell scripts. Perfect for data synchronization, local back-ups, workflow automation, and more! Powerful SSIS Source & Destination Components that allow you to easily connect SQL Server with live RSS feeds through SSIS Workflows. 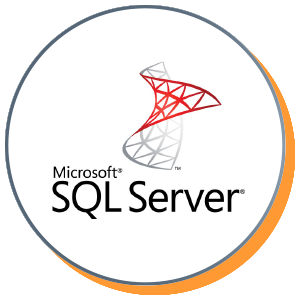 Use the RSS Data Flow Components to import and synchronize SQL Server with feed data. Perfect for data synchronization, local back-ups, workflow automation, and more! Powerful SSIS Source & Destination Components that allow you to easily connect SQL Server with live Sage 50 UK account data through SSIS Workflows. Use the Sage 50 UK Data Flow Components to synchronize with Customers, Transactions, Invoices, Sales Receipts, etc. Perfect for data synchronization, local back-ups, workflow automation, and more! Powerful SSIS Source & Destination Components that allows you to easily connect SQL Server with live Salesforce.com account data through SSIS Workflows. Use the Salesforce Data Flow Components to synchronize with Salesforce Leads, Contacts, Opportunities, Accounts, etc. Perfect for data synchronization, local back-ups, workflow automation, and more! Powerful SSIS Source & Destination Components that allow you to easily connect SQL Server with live SAP NetWeaver data through SSIS Workflows. Use the SAP Data Flow Components to import and synchronize SQL Server with live SAP data. Perfect for data synchronization, local back-ups, workflow automation, and more! Powerful SSIS Source & Destination Components that allow you to easily connect SQL Server with live SharePoint Server data through SSIS Workflows. Use the SharePoint Data Flow Components to synchronize with SharePoint Lists, Contacts, Calendar, Links, Tasks, etc. Perfect for data synchronization, local back-ups, workflow automation, and more!